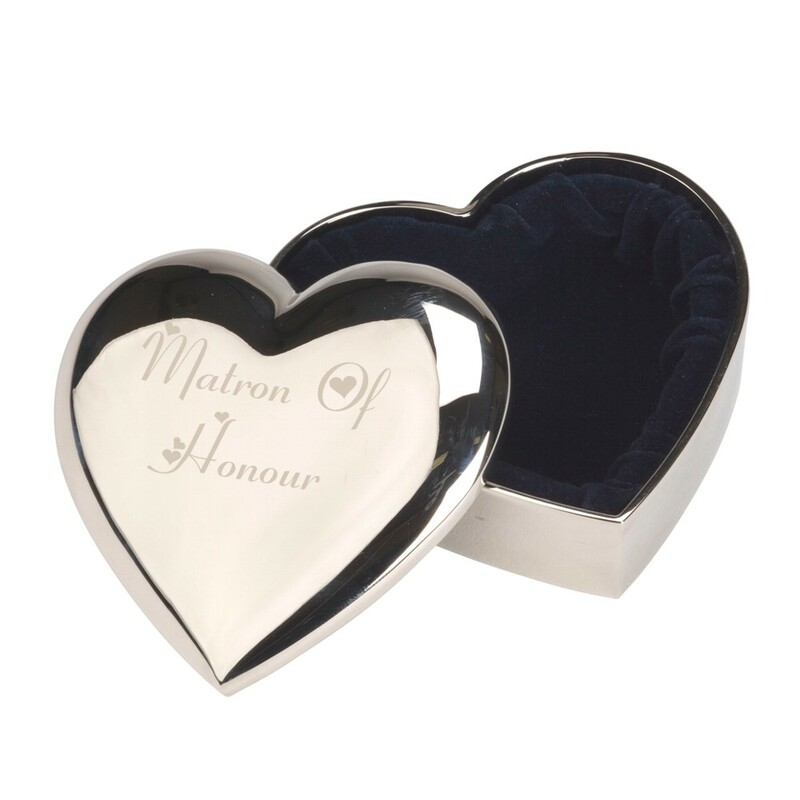 A beautiful engraved silver plated heart trinket box. Engraved with Matron Of Honour. This amazing trinket box has a dark blue velvet lining and measures 67 x 66 x 30mm. As standard it will be engraved with the pre-set text in the font shown in the image, if you would like to have your own text engraved please enter this information in the Customisation box. We will then engrave to your personalised requirements. It comes in a standard cardboard box, you have the option of purchasing a gift box for an additional charge, this can be selected from the dropdown box. If you would prefer a different font than as shown please choose this from the fonts dropdown list.